From leftovers to lunch, these microwave safe cookware containers will come in handy for your clients. They can be used to store your leftovers, pack a lunch, snacks and more. Containers are freezer and microwave safe and are made of BPA free polypropylene and conveniently pack inside each other for easy storage. 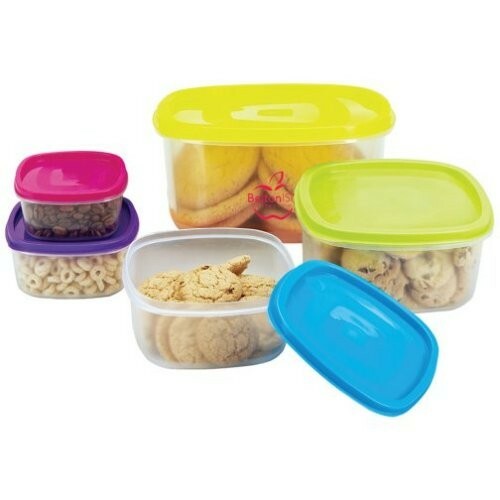 Each container comes with a different color lid to help identify what you have stored inside.